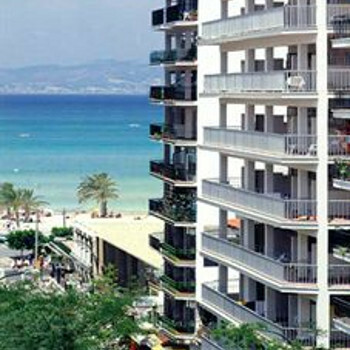 The Mediodia is a 3 star hotel located on a quiet street in the centre of El Arenal, Mallorca. Situated only 100m from the beach it features an outdoor pool and air conditioning throughout. We booked into this hotel intending to stay 9 nights we only lasted 5 of them as we could not put up with anymore drunken out of control foreign 18-30 guests knocking us up at 5am. The food was aimed at the German guests with the only concession for Brits being boiled eggs for breakfast and chips for tea. The hotel was advertised as having air conditioning but nobody told the hotel and we saw no evidence of it. The hotel was clean, with a 2 minute walk to the beach which was just as well as the pool was at basement level and got no sun at all with 2 sun loungers around it. The entertainment consisted of a mobile disco 1 evening. The hotel staff on a night did not understand English so had to resort to sign language to get our room keys.